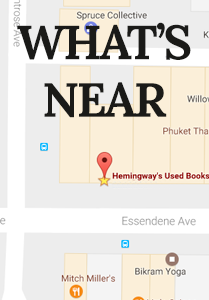 Welcome to Hemingway’s New & Used Books AND Records! 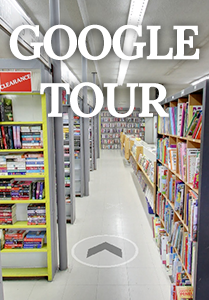 We are one of Western Canada’s largest bookstores for quality new and used books as well as out-of-print and antiquarian books with nearly 8,000 square feet of retail and online inventory. We are located in the heart of historic downtown Abbotsford, British Columbia. If you want to visit us, our “How to Find Us” link gives you a printable map of our location. To phone or email us, click the “Contact Us” button at the top of the page. Recently we added vinyl records, and the collection grows daily. We have newly pressed vinyl from all of your favourite artists, as well as originals dating back for decades, from every genre. 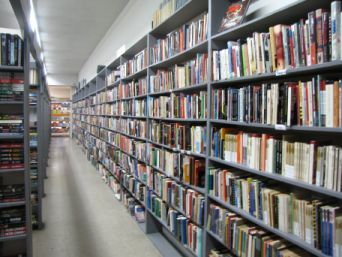 Our new and used book collection currently contains nearly 200,000 titles. We cover over 100 categories including: undergraduate level literature, history, philosophy and military history; children’s literature (both contemporary and vintage); Canadiana, particularly Western Canada and 1st Nations History; Science Fiction and Fantasy; dozens of self-help subject areas, metaphysical and religious subjects; art, photography, crafts;gardening, do-it-yourself, automotive, woodworking; plus a host of non-fiction subjects ranging from biography and true crime to sports and music. Have books sitting in boxes or lying ignored on shelves? Check our “Books To Sell?” or “Top Books We Need” links for more information and an updated list of books we need in our store. There are thousands of titles on our lists, so there’s a great chance you have something of value. We give you 50% of our resale value in store credit! We also pay 25%-35% of our resale value in cash for many items. Check our lists and give us a call. We also offer a 10% discount to all students with valid ID cards! Brand New, Sealed Vinyl Hitting the Shelves!